Ask a research question using this live chat service and learn how to conduct library research one-on-one with the help of an expert! 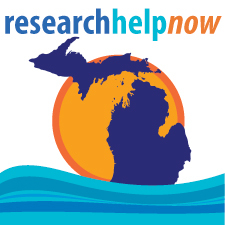 A trained librarian from either one of the 15 participating Michigan academic institutions will take your question. Most likely, it will not be a librarian from your home institution. To begin, enter your question in the chat box and a librarian will join the chat to assist you. Have a question but don't want to chat? Contact us or search our FAQ and submit your question if we haven't answered it yet.